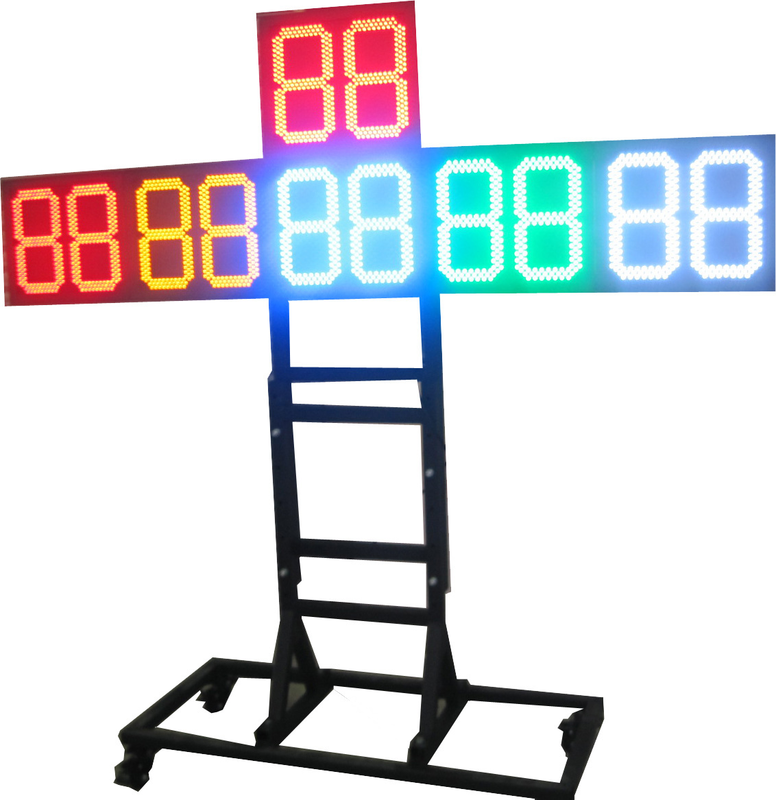 -The counter is composed of 2 lines of 12" indoor super-bright digit in 5 different colors: white, red, yellow, green and blue, totally 12digits. -Each 2 digits share 1 casing, total 6 casings. 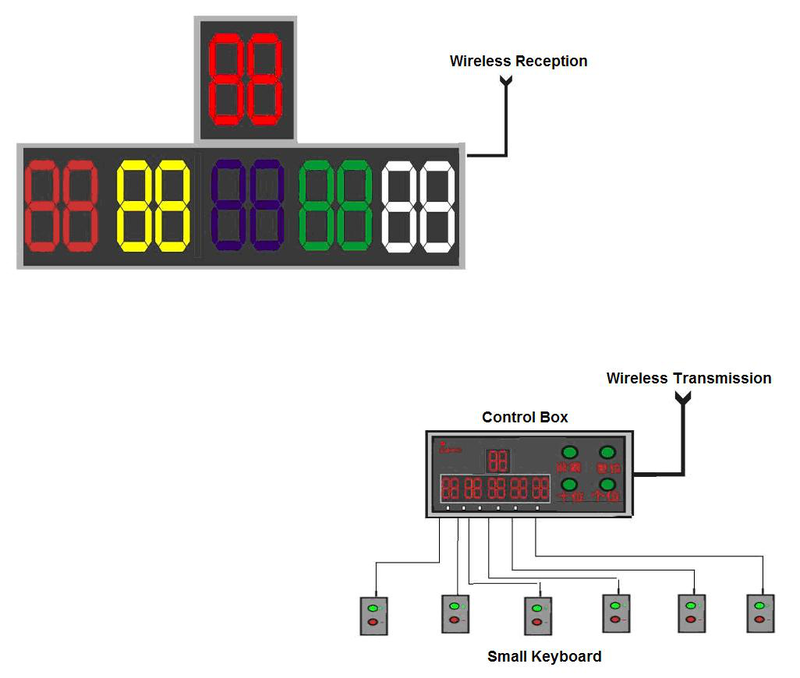 *The counter is controlled by a separated control box in wireless communication. *Operator will use a small keyboard to operate the lap counting. *The user-friendly keyboard for each 2 digits is connected to the control box by an anti-low temperature cable. 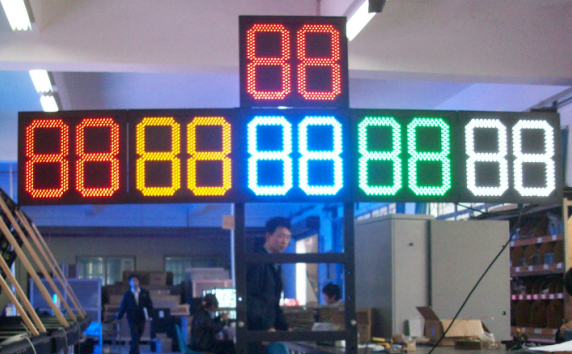 The counter is used for different stadiums in speed skating games. 1.The counter is good looking in similar three rectangle structure with 5 colors. Each 2 digits with separate casing make it easy to install and disassemble. 2.The supporting bracket is adjustable within 1~1.5meter range, made up of 2 parts. 3.The wheels in the bottom of supporting bracket can be easy to move and brake. 4.The counter packed in flight case is useful for rental use.